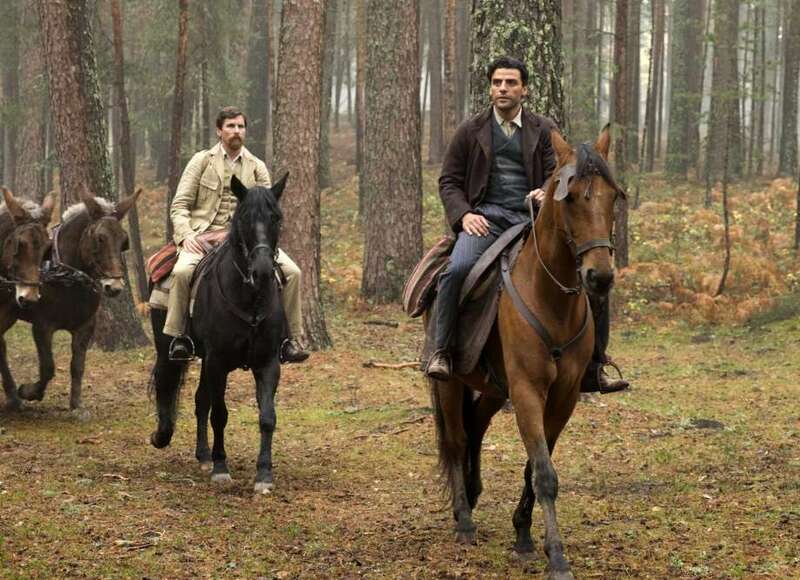 The Promise (2016) is the passion project of executive producer Kirk Kerkorian, the owner of MGM who passed away in 2015. Kerkorian was born in the Armenian American community of Fresno, California where the massacre by Ottoman Turks that began in 1915 was never forgotten. The Turkish government remains steadfast in its refusal to apologize or even acknowledge that it ever happened. For Kerkorian, the movie is a promise fulfilled. 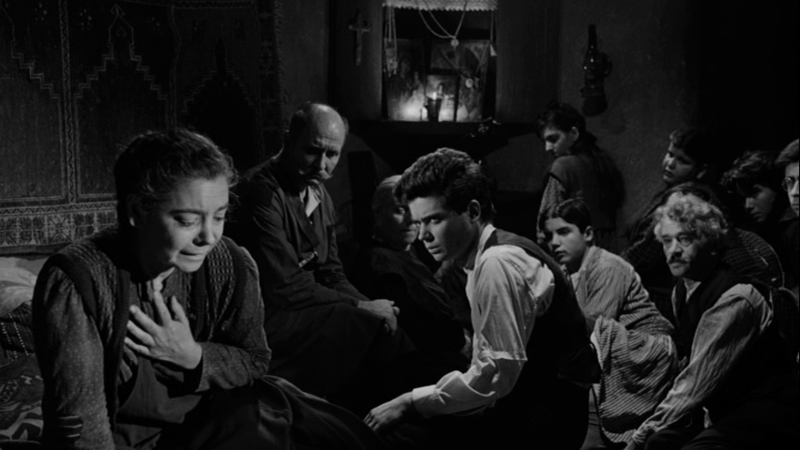 The Ottoman Empire and Turkish atrocities were part of the backdrop of Greek American Elia Kazan’s America America (1963). The genocide was also central to Armenian Canadian Atom Egoyan’ Ararat (2002). Co-written and directed by Terry George, The Promise is a historical epic on the scale of David Lean’s Lawrence of Arabia (1962) and Dr. Zhivago (1965). It’s the kind of movie Hollywood rarely makes anymore and probably wouldn’t have without the backing of Kerkorian. Every studio passed on it. 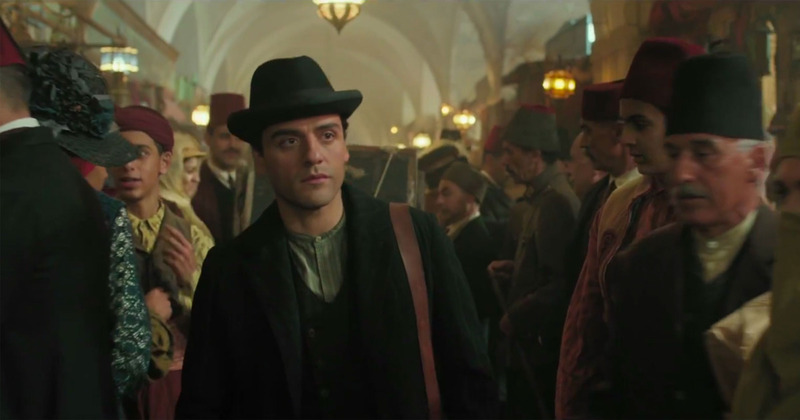 Oscar Isaac plays Mikael Boghosian, an earnest and ambitious young man seeking his fortune in Constantinople. Before he can realize his dream of becoming a doctor, he and his family run afoul of the governing Turkish military. His best friend Emre Ogan (Marwan Kenzari) can’t save him from prison. Isaac is perfectly cast and, by coincidence, resembles America America star Stathis Giallelis. Christian Bale is Chris Myers, a dashing Associated Press reporter who sees a major story emerging in Turkey. His assistant and lover is Ana Khesarian played by Charlotte Le Bon [Mood Indigo (2013)]. The couple’s friendship with Mikael becomes strained when Mikael and Ana develop feelings for each other. Le Bon is especially good as is Shohreh Aghdashloo who plays the mother of Mikael’s matriarchal clan. She insists that he wed his betrothed, a simple village girl. The events depicted parallel those of today. When terrorists bomb Turkish forces, the Armenians are scapegoated and rounded up. The Turks attack the village where Mkael’s family has lived for generations. Love and romance can wait. Survival is all that matters. Veteran cinematographer Javier Aguirresarobe uses the wide-screen canvas to great advantage with exciting battle scenes. Steven Rosenblum edited the film with production design by Benjamín Fernández. Period costumes are by Pierre-Yves Gayraud [The Bourne Identity (2002)]. Music is by Gabriel Yared. The theme is by Soundgarden’s Chris Cornell. Proceeds from the film will go to supporting human rights organizations including UCLA’s Promise Institute for Human Rights and The Enough Project. This entry was posted in Movies and tagged 2017 Cinequest, Charlotte Le Bon, Chris Cornell, Christian Bale, Elia Kazan, Javier Aguirresarobe, Kirk Kerkorian, Oscar Isaac, Stathis Giallelis, Terry George, The Promise by crimsonkay. Bookmark the permalink.